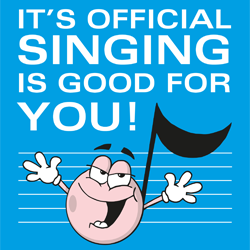 No man is an island – we know that from John Donne – but, more importantly in this context, no singing teacher is either. Janice Chapman's book advances on a wide front towards holistic solutions in singing and teaching singing. This book is surely going to be invaluable to singing teachers. 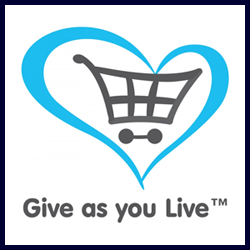 It is personal – Janice's experience, personality, way of thinking, come over powerfully - it's an embodiment of her experience of singing and teaching singing. She appropriately gives a short history of her own singing career, which was a very distinguished one, if ultimately disappointing to those of us who (like me) knew her as a student, and could hear the great potential in her voice and feel the strength of her stage-presence. But this is not another of those Please-Remember-Me trips by singers who need attention now that they have given up appearing in public. Janice is a model for teachers who look through and beyond their own vocal experiences to find durable and viable ways of making singing work. And it's a challenging pattern, because she has come such a long way in discovering the facts of singing, and in using them to produce a vibrant way of working in the studio, which is in a state of constant and self-renewing development. She writes instructively about her work as a teacher – a teacher who has the wit and wisdom to incorporate what she has learnt over a period of time. And the ability to know where to look for information. She has always shown a remarkable desire to share what she has found from her own work, and to acknowledge readily what she has learnt from others. What you get from this highly practical book is likely to improve your own understanding and practice. I have experienced her teaching at close quarters and so my particular view of the book includes the important question, does it represent what she teaches? Yes, is the answer. The fact that in this book she has recruited input from specialist others shows how much she believes in going to the fountain-head when you are looking for information. But central to it all is her own work. She has an important colleague in Ron Morris – the chapters credited to them jointly are full of information, and above all practical instruction in how to teach singing. They are on Breathing and Support, on Phonation, and on Articulation. The other pages which the book is likely to spring open at, once you've used it, are those in which Janice details the exercises she uses. In all cases she explains why. Magic wands are not dished out. Her book represents her all-embracing method. If you have a problem, it will be dealt with, either by her, or by specialist help elsewhere (Accent breathing, osteopathy, massage, psychotherapy…), and that is part of her holistic, multi-disciplinary approach. This is what I think of as a BVA ideal, and one of the reasons for the Association to exist. The multi-disciplinary strands have been woven into a teaching pattern. The other writers contribute valuable information and insights within the context of the book (there's a list of what they do at the end of this review). But ultimately, the book is Janice Chapman's. Without her ability to gather all this together and then forge it into a way of teaching which is not a Method, but a flexible, voice-enhancing practice, there would be nothing to write. Of course, no book on singing can represent absolutely everything – it can't show what a teacher hears, because no words in the long run can do that. Nor can it reproduce the presence of the teacher, the tone of voice in explanation or approval, or, as most of us need at times, the gentle note of disapproval for work not done. But this book goes a remarkably long way towards that, and the practical information is here. For example, the chapter on Articulation, co-authored with Ron Morris, is alone a mine of facts and methods to encourage the good and deal with the difficult. It's not hard to read, but there is so much information, that I for one will have to read and re-read the practical parts. The illustrations are important (and witty). It will surely become a must-have book for teachers of singing. It will inform other teachers of what they have not yet discovered, reinforce them in what they have found out (Janice is not confrontational, though honest), encourage them to go further in their own creative process. One strength of the book is in its broad approach. The other is in the detail. Holistic seems a very apt description. The information from colleagues is interesting, useful, and part of the plan of the book. But those chapters which she has written herself, some with input from Ron Morris, are the ones that mean most to me. We will surely want to try out the exercises, and, as Janice says she expects us to do, "to take, use and modify creatively any ideas presented to them." * Ron Morris (passim), Adrian Fourcin (Hearing and Singing), Marilyn McCarthy (teaching and learning), John Rubin (Anatomy and Physiology), and Pamela Davis (Voice and Brain). 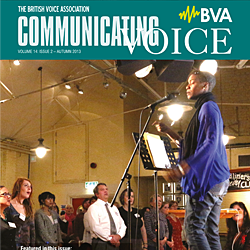 Neither the British Voice Association nor the Editor can be held responsible for errors or any consequences arising from the use of information contained in its newsletters (or extracts from its newsletters published online); the views and opinions expressed do not necessarily reflect those of the British Voice Association (BVA) or the Editor, neither does the publication of advertisements constitute any endorsement by the BVA or Editor of any products or services featured. This version of our website does not deploy web cookies, however it offers links to third-party websites and online services which may – please see our privacy statement.